Seasonal or Evergreen Content | Does Topical Content Bring More Traffic Than Evergreen Content? Content is the weapon of SEO. And SEOs like to use a twofold weapon, one that would win them the fight both on short-term and long-term. They call it seasonal and evergreen content. The thing is, is it a matter of “and” or “or”? Do topical content and evergreen content go hand in hand, or go separate ways? This debate is not only applicable to content marketing but to social media marketing as well, as both share the same types of content. Nearly everybody tilts the scale in favor of evergreen content arguing this is the bee’s knees. But where does seasonal content stand in this? To what extent can holiday articles, Google updates, or top lists for a particular year really help and trigger ROI? In Conclusion, Is It “Vs.” or “And”? Each has their fair share of advantages and disadvantages. That’s where managing the right content strategy is an act of balance, like gymnastics, ballet, or figure skating. 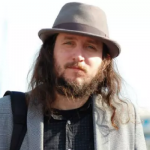 David Harry from SEO Training Dojo said in a cognitiveSEO talk that “Content strategies everything” and that is why you should know how to wield it in order to gain and not lose from it. Although everybody tries to solve the crossword puzzle and find out which one has a stronger impact in the SEO blogosphere and on which one they should focus their efforts on, we’re all somehow chasing our own tails. We shouldn’t be picking a single content type. Topical content and evergreen content actually intertwine. They need each other (more on this later). This seasonal vs evergreen content debate is similar to the one regarding passion vs love. The latter is everlasting and stronger, while the other is quite ephemeral, although fiery. Often times, you don’t even need to choose: you can have the best of both worlds. However, you have to always think in the long run –what’s in it for you, is it worth deploying to earn money from this, is it relevant over time? But let’s discuss this over a cup of evidence and pros and cons listing. Then, you should be able to take a decision. Seasonal content also goes under the name of topical content. A usual seasonal content definition would say it refers to content that is related to what’s trending, catering to the industry dynamics. It usually delivers updated, relevant, and targeted information to an audience that is already well versed and familiar with the topic you’re writing on. Topical content is relevant during certain times of the year only and is usually pretty hip and niche disruptive. Topical content posts are very common in industries that are constantly changing, such as tech and fashion, or to brands that usually have this kind of activity – news outlets, bet houses, and finance. Topical content titles go like this: The best country to spend your summer holiday in 2016, Winners and Losers of the 2018 Winter Olympics in Pyeongchang, Robinhood App is Available in Another Two US States, so on and so forth. event-based (Christmas, Easter, Women’s Day). Some would add a third category, which is more of subcategory, known as “true” topical which, theoretically, is visited each recurring season or event relevant for that particular content (holidays, events, sales etc). However, seasonal content is said to also include another category known as holiday-based seasonal content. But I personally think this is redundant, as this is already covered by event-based topical content. There are some common sense rules when it comes to crafting seasonal content. First, focus on always making your topical content useful and relevant – don’t write something if you only want to enlist in the seasonal post bandwagon. In addition, do keyword research very carefully. In order to nail a seasonable content piece, you need seasonable keywords. These only will bring you the targeted seasonable traffic. This is what you need and you win should it rank well in SERPs. Secondly, be prepared beforehand and do an editorial calendar with events and seasons you want to cover and get your content ready. Thirdly, let your team know the impact indexation has on your content marketing strategy when setting up the topical content calendar. 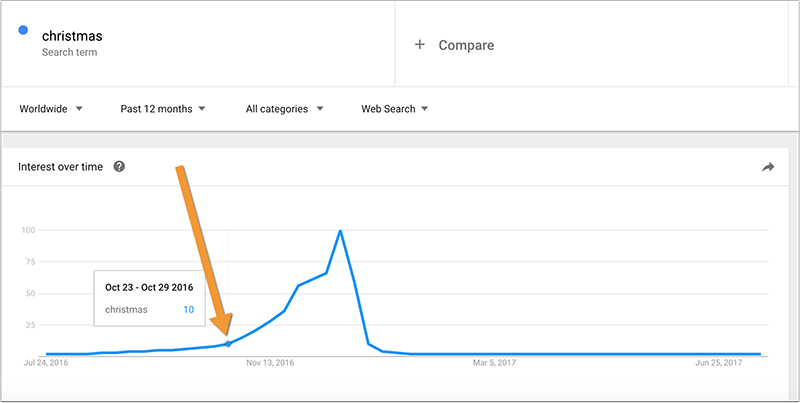 One of the main reasons would be that most people do their research on seasonal content (be it time-based or event-based) months before the actual time. What’s more, you need time for your article to be indexed in between the time you make it live on your platform and the time of user search. Everybody says evergreen content weighs heavier from an SEO point of view. Yet, why does seasonal content still matter so much? Should we analyze each blog, we’ll most likely discover both topical and evergreen content. And often times, seasonal content has a fair share in the blog post ratio. Trendy, fresh, breaking new content is way catchier than general truths or case studies are. News and fads get more attention. When you’re publishing a piece of news, you will generally trigger an audience’s interest more than when you’re publishing on a topic they’ve seen countless times already. One plus topical content has is that it can be transformed into evergreen content at almost any time. For instance, a How Did the SEO Landscape Influence Your Rankings in 2017 article could easily be updated to fit the year 2018. Seasonal Content Benefit #1 Writing seasonal content can greatly benefit your brand image. It sends the message that you care about the latest trends in the industry and like to be up-to-date. It shows interest in novelty and advanced information. This is how your audience starts trusting you and also becomes a client. Topical content shows that you want to stay relevant in your niche and you put your audience first. You care about what’s needed right at that moment. Topical content can easily satisfy readers’ needs and interests. By constantly providing fresh and up-to-date content, you are pushing forward the image of a trendy funky brand. Seasonal content means that you care about the needs of the consumer in regard to various occasions and times of the year. Seasonal Content Benefit #2 What’s more, it can be relevant more than once, if the subject is trendy again. As previously mentioned, there’s a content subcategory which goes under the name of “true seasonal” and refers to content which can get back under the public eye. These posts can be revived on various holidays or sales occasions. Seasonal Content Benefit #3 Another strong advantage is that topical content is good for selling things. People look for seasonal content to purchase stuff. This kind of content serves the user intent better and provides instant gratification. Whenever you craft and post a topical content piece, you help your well-versed audience make a better decision from a marketing and purchasing point of view. People look for seasonal content with the intent to buy. Seasonal Content Benefit #4 Moreover, topical content is very important when it comes to growing an audience. It helps you when building brand reputation and brand recognition. It creates buzz around your brand, although followers might lose interest at some point in time. Instagram is a great place to do that and get instant gratification, as well as Twitter. Topical content is top notch for instant success, word-of-mouth, gratification, and conversion. The down part is that followers can eventually bounce off once they stuffed their bellies with the info they were interested in, and never visit you again. Seasonal content allows you to put your brand in the race. Seasonal Content Benefit #5 Seasonal content usually triggers mobile-optimized strategies to help audiences land on and stay on your page longer. Seasonal content seeks to be concise yet comprehensive, all of that to satisfy their audiences with info delivered on the spot. This kind of straightforwardness needs the right user experience and interface. And that’s where mobile-friendly versions became the cool kids on the block. In the seasonal content realm, competition is far less to worry about. And this is because almost every business opts for evergreen-only content strategies. Seasonal topics allow for fresh content creation with limited competition but a long enough lifespan to make a rate of return on the content creation cost. Fireproof your content by creating topical content and FOMO, which is fear of missing out. Dictionaries say that it talks about FOMO as being an “anxiety that an exciting or interesting event may currently be happening elsewhere, often aroused by posts seen on social media”. Last but not least, seasonal content usually gets a great deal of traffic. But who doesn’t know that? Most probably, that’s the only reason people would rather deploy such content piece out on the blog. Although topical content has a great wealth of advantages to be deployed as a content technique, it also comes with a good share of disadvantages. And the sooner we accept and own it, the sooner we would spare ourselves of disappointment. Seasonal Content Downside #1 Unfortunately, unlike evergreen content, topical content has an expiry date. It doesn’t sustain the same stream of traffic and social applause like on its first day after being published, and this goes over a long period of time. It creates short-term engagement, however grand and satisfying the engagement was first. And this is because topical content isn’t relevant all the time. It is a quick-decay content and has a limited lifespan of usefulness and relevancy. In the end, topical content doesn’t deliver sustainable results. Seasonal Content Downside #2 What’s more, topical content kind of splits audiences and targets only those with advanced knowledge on the topic. It can register a massive hype, yet this is coming only from the well-versed ones, bearing no meaning to the rest of the readers. Seasonal Content Downside #3 Moreover, to new the users who want to enter the group, seasonal content can seem a little complicated and hard to digest, given the great amount of novelty and jargon. Seasonal Content Downside #4 People can lose their interest little by little, either because of the aforementioned reason or because something else has already caught their attention. You just need to remember the news featuring who won the US presidency which was met with massive engagement, but shortly after they lost popularity as something of greater freshness and relevancy caught their attention, such as new laws proposed and adopted by those in power. Focusing on topical content means you have to work your fingers to the bone to stay continually relevant and updated. You have to do your research day by day and never lose sight of what’s important in the industry, and hopefully be the first to release the news. Take the example of crypto news, where there’s so much fluctuation, speculation and breaking news relating either the rise of a particular coin or people who nailed it at mining, owning, or stealing digital coins. 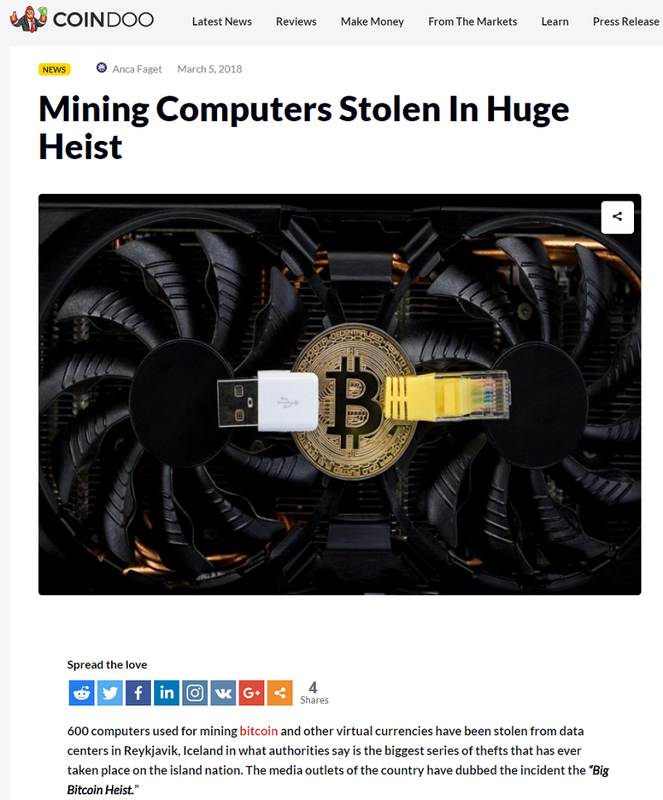 Such was the case, for example, for the massive news regarding the hugest bitcoin heist that took place lately. Other news on different topics took its thunder shortly after. Another, say, disadvantage seasonal content bears is that although it brings something unique, the event happens just once in a while and has relatively too less of an authority over its audience. Furthermore, it needs a certain kind of audience for its content, and some might very well bounce off the page or spend very little time on the page due to their lack of advanced knowledge of the topic. Sometimes, readers are just curious people who drop out reading sooner than you realize. Evergreen content is content that passes the test of time and remains relevant at all times. It usually develops a greater audience and traffic along time, but its growth is secure, constant, and sustainable. Evergreen rarely to never has traffic spikes, and although you don’t necessarily see results overnight, in the long run, you’ll benefit from constantly getting visits and backlinks. Evergreen content is a love story shared by two: the content provider and the reader. They will always need and stick to each other. Evergreen content is essentially made to educate audiences. It never gets out of style because people will always need this kind of content. 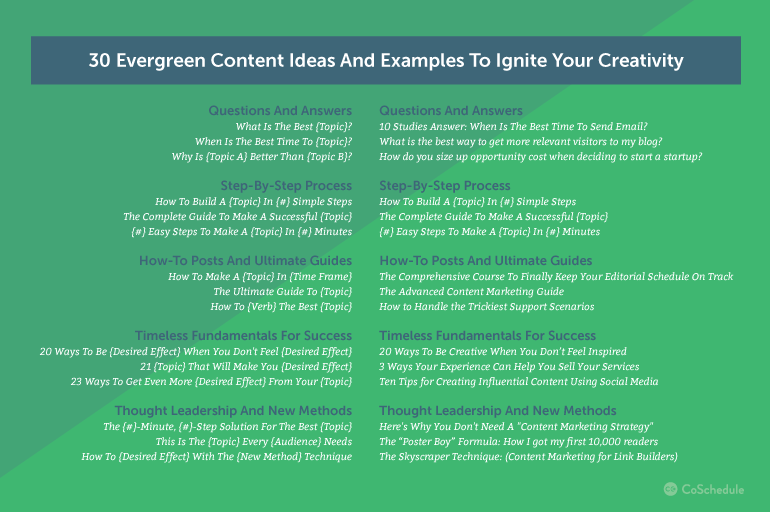 Case studies, statistics, walkthroughs, product reviews, how-to guides, beginner’s guides, lists, top industry tips, best practices, checklists, tutorials, podcasts, common problem solutions, failure and success story, pros and cons article, all these are instances of evergreen content. You can easily spot evergreen content when bumping into titles like How to Tie a Bow, Cookies and Cream Fudge Brownies Recipe, 8 Steps to Kick Off an Ultra-Powerful Link Building Campaign, How to Book and Pay for a Room With Bitcoin. Whenever crafting evergreen content, pay attention to providing unique and relevant informational data. Make your content engaging, as readers could easily lose patience given that most evergreen content posts are quite long. Make clarity one of your guiding lights, as you wouldn’t want your audience to bounce off your page for finding your text exhaustive. In addition, always seek to write on topics of interest. Try to bring something new and authentic in your piece of evergreen content, as nobody likes to bump into the same thing everywhere. Although they might need the same thing over and over again, they’re expecting different or at least new results and insights. If you can provide a quality answer to a timeless question, there will always be value in that answer. Evergreen Content Benefit #1 The number one plus evergreen content has is that it is timeless. Evergreen is a wealth of constant leads, traffic, shares, and social sentiment. Traffic to evergreen content will stay the same, meaning it will increase slowly but steadily, with slight differences, with the chance of rising even more and improving in accordance with the course of the website authority. 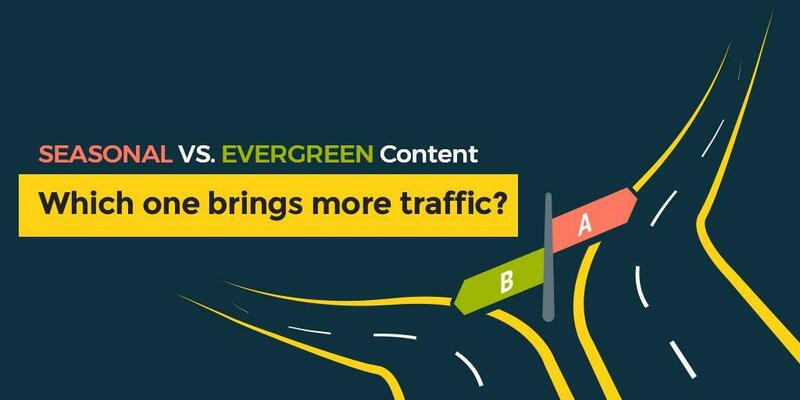 Even though evergreen content asks for more time and effort, given the nature of the posts (how-tos, case studies etc, all requiring strong research), they ensure continuous traffic on your content. At the same time, evergreen content is less demanding to produce, than seasonal is (and we’re not talking data and stats here). There’s no rush to find the news, no secondary resource problems. Evergreen Content Benefit #2 Another pro would be that timeless content builds brand trust in the long run, especially when researched properly. Readers will bookmark you as a source for quality, in-depth info when writing evergreen content, knowing that they will always find their answers on your website. 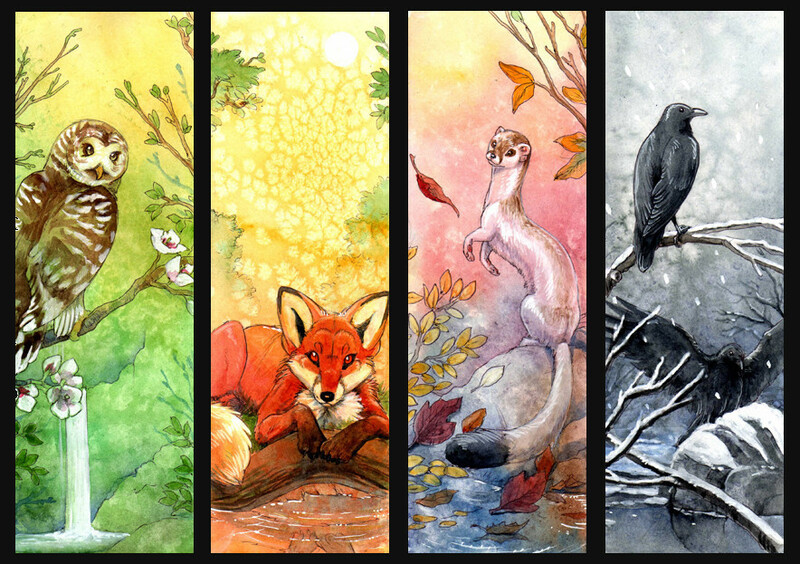 Moreover, evergreen is proved to cater to the needs and interests of both new and old readers. Social media profiles and blogs will carry on growing thanks to evergreen content. Evergreen Content Benefit #3 Evergreen content stays relevant all year round, and it doesn’t matter the time you post it. This means it can be shared any time of the year. It is everlasting, should the website stay fresh and never get closed by the admin. In other words, evergreen content is timeless, anti-aging. It is content that creates long-term engagement. This type is content that doesn’t depend on the whims of seasonal events and topic, hence how to do a braid will always be in vogue. Evergreen content never expires. Worthy to mention is that evergreen content also makes great use of topical content, by literally being relevant regardless of the season. It can be updated: lists, tops, case studies, or how-tos like the one available in the below screenshot. However, evergreen content rarely needs minor periodic updates to keep its usefulness. Evergreen content is not time-sensitive, and can easily be refreshed so as to keep its relevance over time, if needed. And search engines encourage webmasters to update old articles with fresh content as this would help in boosting your overall rankings. Quick tip: use the “compare and contrast” update technique, which means when you refresh some old seasonal content, make the update seem legit and relevant. Make it bring something new to the ideas expressed in the article. Evergreen Content Benefit #4 What other pro arguments in favor of evergreen content might be, you might wonder? Well, evergreen provides your website with greater authority thanks to the continuous diverse traffic flow. And this is because evergreen content is always trendy. 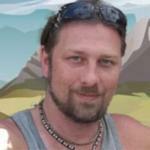 It can gather backlinks much easier over time, while topical content is facing a rather difficult time at this. Evergreen content isn’t serving just the page well, but also the entire website. Evergreen Content Benefit #5 Last but not least, it is said that in terms of per-piece value, evergreen content is superior, empirically speaking. It ranks every week and every day compared to seasonal. Evergreen content is always trendy and in season, but the vice-versa is not (seasonal being evergreen). We can even say that whenever an evergreen piece of content is published, it officially starts its open season of continuous traffic and engagement. If wondering how to make and repurpose evergreen content to get as many results as possible, check CoSchedule’s case with evergreen content. Compared to seasonal content, evergreen posts have way fewer disadvantages. And this is because evergreen content is more stable, and it pays off eventually along the time. Evergreen Content Pitfall #1 One con argument is that evergreen content can somehow tell the obvious and basic stuff. The information can reach a point where it becomes somehow worthless because there are too many sites that already provide that specific information. Evergreen Content Pitfall #2 Another pitfall is that there’s too big of a competition on evergreen content, therefore you’ll face harder times at getting noticed and ranked high in Google SERPS. Evergreen Content Pitfall #3 Not to forget that evergreen content also requires a great deal of research, when done well and quality is a rule of thumb. It is indeed more comfortable to write a timeless piece of content than a topical one, as you don’t have to rush to the first news provider, but it needs valuable resources such as time, in-depth research, and the spark of originality in order to bring something new to an already crowded and saturated content industry. And now we remain with the ultimate question: what type of content is more relevant to your business? Or, if willing to use both, what mix is more suitable for you? Web content can be compared to perishing flowers, seasonal plants, and evergreen trees. 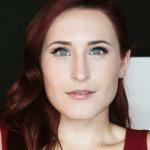 So which content flora will populate your website the most? Many content marketers rush into dismissing topical content for all the abovementioned disadvantages. However, if we are to look at the pros and cons ratio only, although topical content has more cons than evergreen does, it is still richer in benefits (we’re talking numbers here). Maybe it’s because evergreen content is too mainstream already. Both content types can trigger organic activity to your website, that’s sure thing. They both join powers to bring the best results to your content marketing strategy: evergreen content can suit all kinds of readers, at all times, while seasonal content suits only those well versed in that specific topic or industry, the ones who want to be kept up-to-date with advanced, upgraded news. The smartest thing would be to make great use of both types. Both types of content are equally important and necessary. So my answer to the question “Which one is better?” is: both are equally important as each contributes to the well-being of your blog in ways neither of them can cover for the other. The path most webmasters take is that of writing a piece of content that is nearly topical to evergreen, one where they talk about something already established but with the twist of something that they’re selling or believing in at that point in time, hence making it rather trendy and relevant to the moment of speaking. Others tilt the scale to evergreen content. Atomic Reach suggests a ratio of 1:4 – one seasonal piece of content to every four evergreens. It’s crucial that you strike the right balance. The ideal mix depends a lot on what you are looking for for your business – your objectives, your target audience, what they need and appreciate the most. It depends on your marketing goals: educate or convert into clients, fast or slow, now or everytime they land on your website. Take this cognitiveSEO example: Unmasking The Hidden Digital Marketing Strategies of 9 Successful Startups is an article that brings us continuous traffic over time and it doesn’t show to stop anytime soon. It is a hit among our followers and a constant go-to source for information, data, and inspiration. 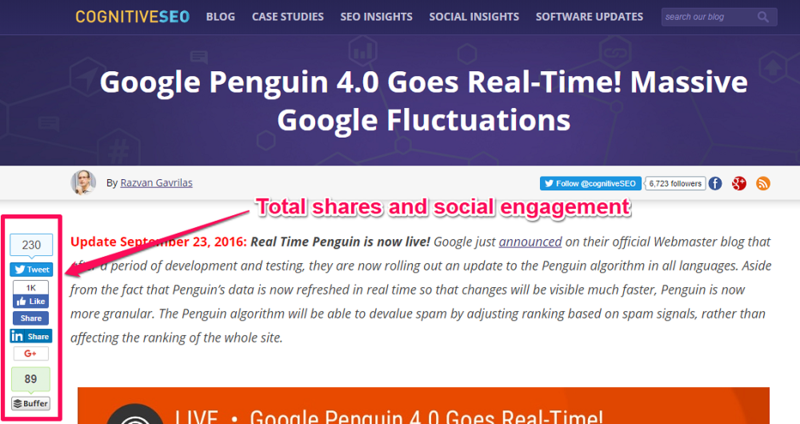 On the other side, there is this Google Penguin 4.0 Goes Real-Time! 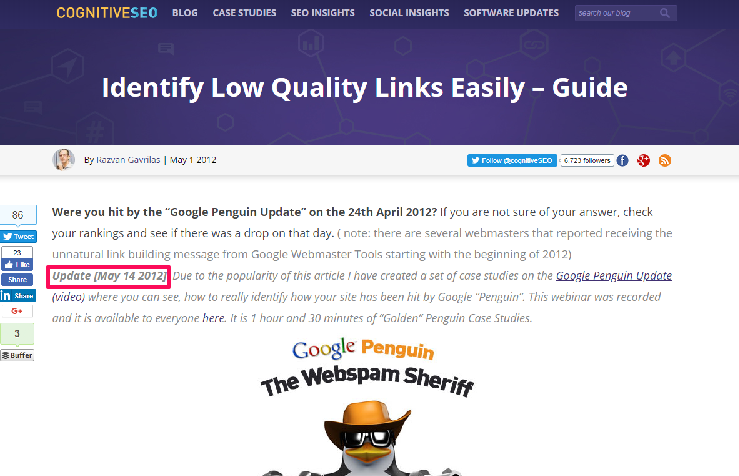 Massive Google Fluctuations article which we intended to be a seasonal article. And this is what it was: a smashing piece of content on a topic that was quite hot at the moment. We registered massive hype and engagement at the time of publishing and also a couple of days after, but metrics never displayed the same amount of visits and traffic as in those days. And this is because topical content gets you traffic spikes but rarely promises a neverending love story between the article and its readers. By deploying both tactics, your message to the readers will be that you have a well-rounded perspective of your market needs and interests. Topical plus evergreen content equals the win of all kind of readers, bringing a diverse range of clients to your business. Finding the balance between evergreen and seasonally relevant content can set the tone of your feed. Given that both have their fair share of advantages and disadvantages, you shouldn’t’ opt for a one-only tactic, but take them both and use them in your content marketing strategy. One tip: always create contextual links from your evergreen content pieces to your topical content so to help search engines like Google better index them. We tend to always divide content up into two kinds of groupings: seasonal versus evergreen. But you always want those, those are very important. And then, for the obvious fact that you need things to go out and get visibility to get Google-even. So you need stuff to always have out there to be alive and current and vibrant. In Conclusion, Is It “Vs” or “And”? When comparing evergreen content vs topical content it’s like you’re putting a sprint and a marathon face to face. It’s not about which types of evergreen content or topical info is good and which is bad, but it’s a matter of merging. Give yourself the treat of short-term buzz and long-term outcome, both promising to provide conversions and hype. Experiment with both, check out the ideas and examples tackled above, and see how each one works for you in terms of results (which one drives traffic for you). And don’t forget: if you’re after more consistent posting and bringing in followers back to your site, use topical content, and if you seek to build up the pillars that give you better SEO results and a chance to reach out to new readers, also use evergreen blog posts. Opt for a hybrid model: get the best of both worlds. The post Seasonal or Evergreen Content | Does Topical Content Bring More Traffic Than Evergreen Content? 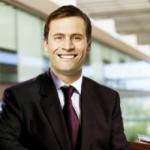 appeared first on SEO Blog | cognitiveSEO Blog on SEO Tactics & Strategies. Next: Next post: Time to Act: Review Responses Just Evolved from "Extra" to "Expected"
© 2019 Excel Visibility LTD. Built using WordPress and OnePage Express Theme.